Beat eggs for two minutes with fork. 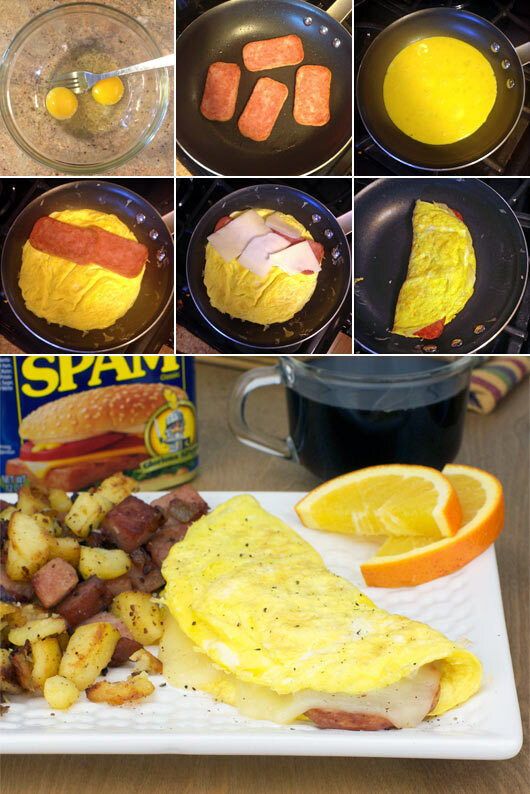 Brown spam in frying pan (medium-high heat) for two minutes per side. Temporarily, transfer spam slices to a plate. Add teaspoon of butter to frying pan. Once butter melts, add eggs. Let the eggs brown lightly on the bottom and then flip. 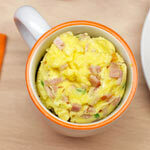 Add spam and cheese to one side of the eggs. Fold the other half over and flip again so the cheese melts. 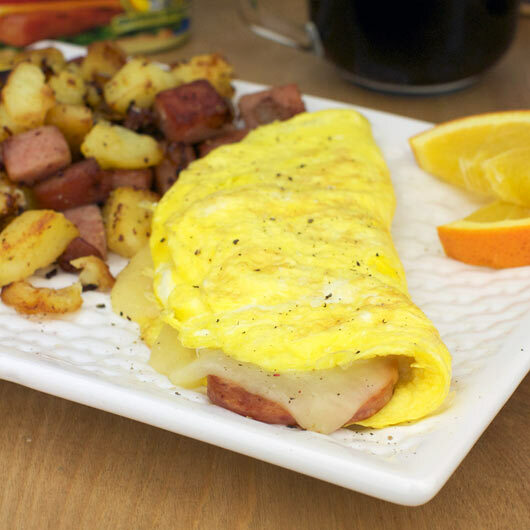 The potato side dish you see in the pictures is actually Spam Breakfast Hash. Check it out. For a garish, try adding a teaspoon or two of salsa to the top. 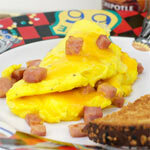 What do you think of Spam Omelette? Mmmm. 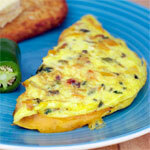 This has become my favorite omelet. I think I will make another one for lunch right now. 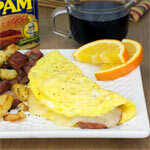 I use the Spam like ham and chop it into cubes first and then add green pepper and onion to make a Spam Western Omelet. Sliced American cheese and spam. This is my nightmare omelette. Unusual but very good. We've had a can (container) or Span for about 4 years and finally used it! 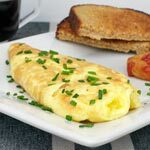 Keeping the spam in large slices made the omelet seem more like a sandwich pocket with an egg crust than a traditional omelet. I think next time, I'd chop the span into cubes, but this way was fun for a change. 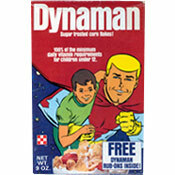 Go Spam!